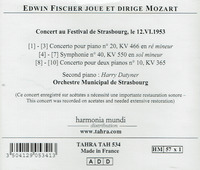 “It's not so very often that you get a brand-new set of performances from a Golden Age musician as well documented as Edwin Fischer, yet here one comes in the form of a complete, all Mozart concert in Strasbourg in 1953 that provides previously unreleased (as far as I remember) repertoire. In doing so, Tahra has added substantially to our knowledge of both Fischer and Mozart. “Old wine, new bottle. The d minor was a Fischer favourite and his humanity and understanding illumine every performance of it that we possess. His 1954 commercial recording of it (Philharmonia/Krips) is on Testament and it’s to that performance that those unversed in his intimacy and poetry should turn – not least because the live performance here is very dimly recorded. 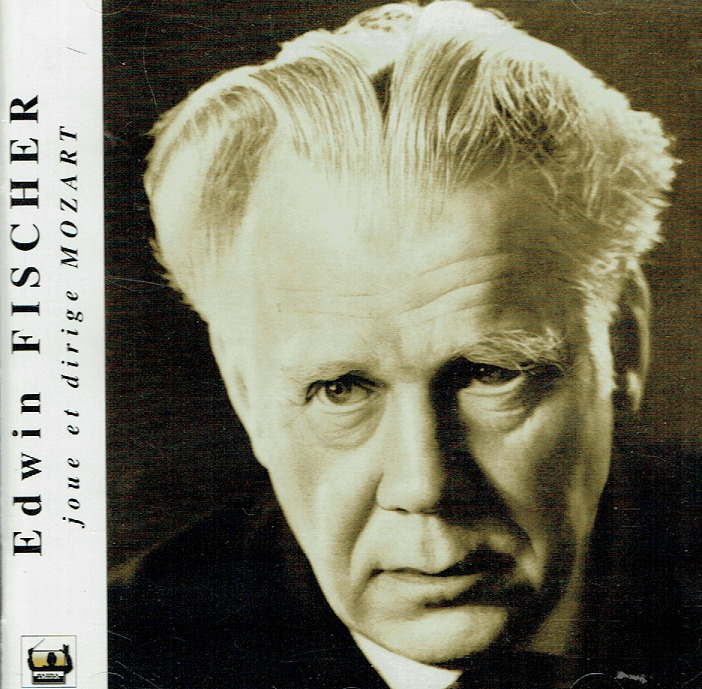 And yet for those prepared to listen beyond the constricted sound, and beyond Fischer’s occasional and obvious digital fallibility, the lessons to be learned are incalculable. High amongst them are Fischer’s sense of cantabile phrasing and the impassioned vocalisation, almost operatic power, he finds in K466. He fuses the intimacies and declamatory brilliance in a single emotionally cogent, intellectually rigorous arch, and his sensitively humorous playfulness has its true place in the first movement exchanges. The power of the first movement meets the subtly hued distillations of the Romance, full of - despite the unfavourable recording quality - gloriously persuasive lyricism, that renders incidental Fischer’s slips. Similarly, though to a lesser degree, he brings to K365 a sense of high-spirited clarity and comradely generosity. 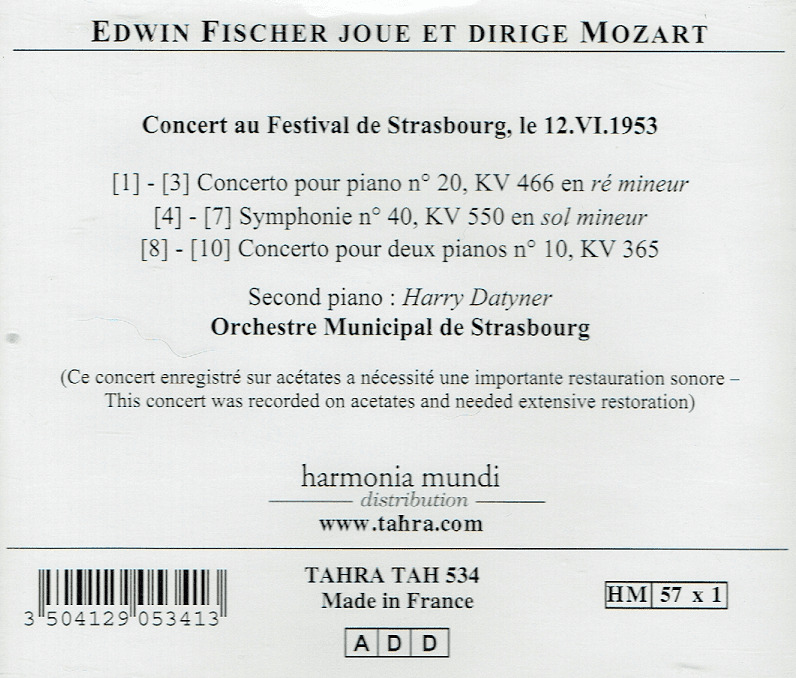 His partner is Harry Datyner, a fine musician and an apt foil for Fischer. True, not all the runs they make are synchronous but there is a commendable sense of unity and uniformity about their performance that never precludes imaginative individuality. Unfettered, as it were, by the piano Fischer the conductor gives full vent to his powers of direction in the g minor Symphony. This is a strong and stern reading, quite big boned in the first movement with little gliding portamanti in the second that point to the Adagio-like tempo that Fischer favoured over the written Andante. Here his shaping of the wind themes is immaculate and truly sensitive, whilst the finale is powerful and convulsive. The orchestra is hardly a model of precision engineering but it’s enthusiastic.